Thomas and Friends My First "Railway Pals" push along single engine assortment features 5 characters: Thomas, Percy, James, Rosie & Harold. 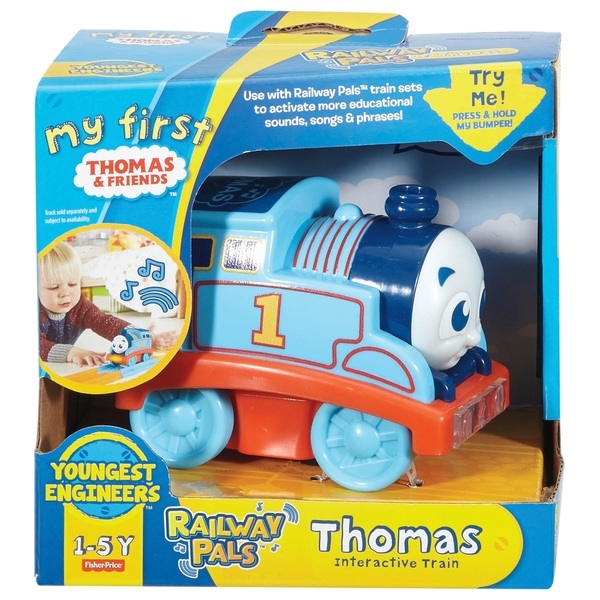 Use with Railway Pals train sets to activate more educational sounds, songs and phrases! (sold separately). Includes sound effects and phrases which are sure to fascinate your little one! One vehicle/engine supplied.